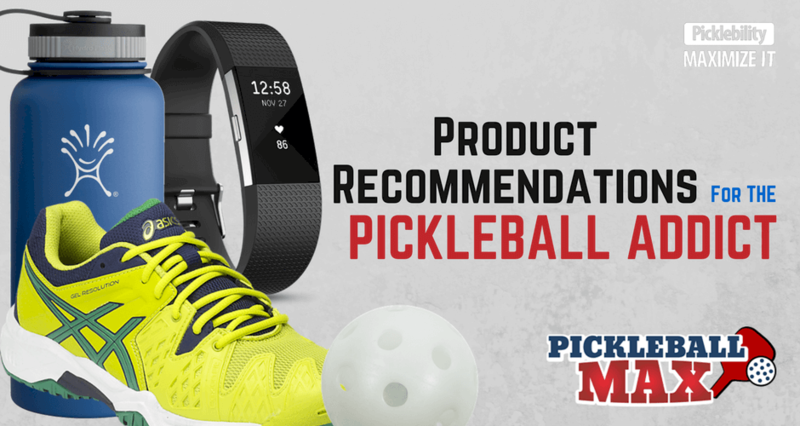 The team at PickleballMAX has put together product recommendations for the person who wants to maximize their picklebility — including their function, fashion and health & wellness on the pickleball courts. In this guide, we include everything for the pickleball adddict — including pickleball paddles, shoes, bags, Fitbit Activity Trackers, water bottles, sunglasses, coffee mugs and more. Note: This post contains affiliate links. As such, I may receive a small affiliate commission if you purchase product mentioned in this post. There is no additional cost to you. Affiliate commissions help keep PickleballMAX going. Let’s be honest. Making your pickleball goals and tracking results takes time. It also requires brutal honesty. You will be most effective in accomplishing your goals, however, if you write them down with corresponding action steps – perhaps in a 163-page pickleball planner (in color) designed specifically for the pickleball addict… you know, one that fits conveniently in your pickleball bag for easy reference and review – complete with monthly & weekly calendars, trackers, goal sheets, rules interpretations and so much more! For pickleball players, proper footware is critical to prevent injuries. Walking/running shoes are made to support you moving forward not lateral movements from side-to-side. I highly recommend court shoes or tennis shoes when playing pickleball. It’s an investment will worth making. Here are my specific recommendations for the men. For pickleball players, proper footware is critical to prevent injuries. Walking/running shoes are made to support you moving forward not lateral movements from side-to-side. I highly recommend court shoes or tennis shoes when playing pickleball. It’s an investment will worth making. Here are my specific recommendations for the women. Coconut water makes an excellent hydrating drink that replenishes electrolytes and is a great alternative to chemical-filled Gatorade and Powerade. Sunglasses are great give ideas for the pickleball addict. Protect the eyes from the UV rays with the following sunglasses. Travel light with pickleball bags that will carry all of your gear — including your paddles, water bottles, keys, cell phone, sunglasses, grips, balls and towels. Here are my pickleball bag recommendations. Increase your pickleball paddle grip with pickleball gloves. Enhance the tackiness and absorbency on your pickleball paddles with pickleball paddle grip. Here are a few other gift ideas for the pickleball addict who seems to have all the pickleball gear. Finally, you didn’t think I’d forget paddles, did you? Virtually every pickleball player — at one time or another — dreams of a new paddle. Amazin’ Aces has a great selection for the beginner and intermediate players. 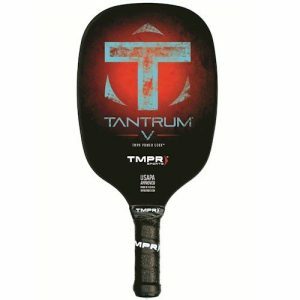 I also have some recommended paddles for the more advanced players — including the Tantrum V and Tantrum GXT from TMPR Sports. From time-to-time, top doctors and health & wellness experts come together to offer online health summits on specific topics. These online summits — providing a wealth of information — are an effective and inexpensive way to learn more about the cutting edge advances in the health & wellness industry. Own the expert talks today. Tennis player turned pickleball player. I blog about how one maximizes their picklebility. 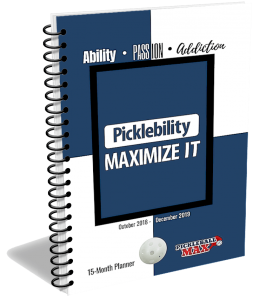 Picklebility is simply defined as an embodiment of one's passion, ability and addiction to #pickleball. See you on the courts! What is your opinion about the elongated pickleball racket? Hi Julie, I have never personally played with an elongated pickleball paddle. However, the extra reach seems really appealing. 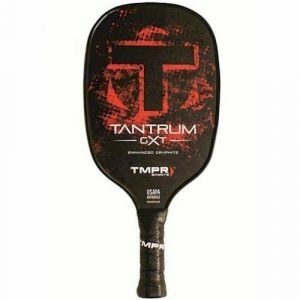 Many different brands now offer the elongated paddle. I would recommend trying a few out to see how it feels to you. Let me know what you think if you get a chance to try some. See you on the courts! I would think longer paddles would pose an overwhelming advantage to the user over other players because paddles are so light and maneuverable. Much like how tennis racquets have been modified to the point where technique has become irrelevant. At higher levels of play though, the player is sacrificing things such as stability, maneuverability, swing speed etc etc if they decide to go with a very heavy racquet, or a racquet 1 inch longer. So having regulations on tennis racquets isn’t really necessary because of the pros and cons. Is that similar with pickleball paddles? Or is there really not much of a sacrifice to such things as maneuverability, sweet spot, precision, stability etc to warrant being concerned about regulations to equipment? Hi Alex, Thank you for your comments. There are, indeed, pickleball paddle specifications, as can be found in Rule #2.E in the Official Rulebook. Within the rulebook there are specifications for paddle material, roughness, size, weight, alterations, etc… For example, the combined length and width of the paddle cannot exceed 24 inches. The paddle length cannot exceed 17 inches. Hope that helps!